Crystal Basin Campground Closing for the summer! 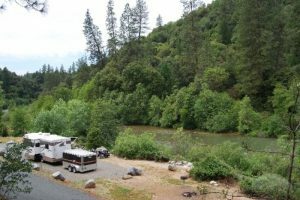 Home » News » Local News » Crystal Basin Campground Closing for the summer! By BStigers on May 12, 2018. Crystal Basin Campgrounds in the El Dorado Forest in the Northern Sierra, a popular summer campground, will be closed this summer as officials execute a major face-lift to the area. Over 500 thousand visitors use this campground each year, and this year will need to go to other facilities in the area. Many are already reporting reservations booked full because of the closure. The Crystal basin has 131 campsites, most outdated and in need of upgrading. The campground will be closed all this summer and next summer as well.